Showing 10 articles from November 30, 2013. Photo by Scot Pearson Raymond HS senior Alex Sida rushed for 118 yards against the T-Wolves. 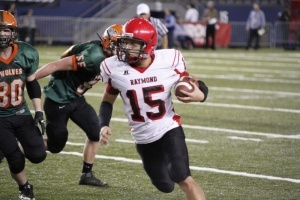 Raymond’s dream of winning the school’s first state football championship in 20 years was stopped by a Morton-White Pass 27-14 Saturday evening at the TacomaDome. The TimberWolves showed what championship caliber teams are made of by capitalizing on mistakes and holding off a determined Seagull squad that played valiantly but just came up short. The Seagulls of head coach Rob Clements never quit and showed what they’re made of by scoring in the waning moments despite the verdict being settled. 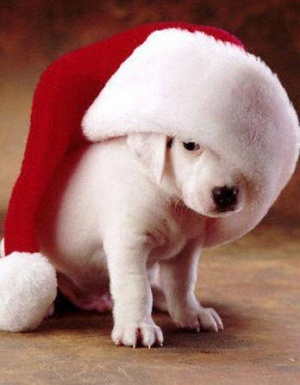 Pet Pics with Santa this Sat. Santa is stopping by Raymond a bit early this year to take photos of the four-legged members of your family! This Saturday the Harbor Association of Volunteers for Animals (HAVA) will be at Dennis Company in downtown Raymond for the Annual Pet Pics. How would you vote when it comes to small business? All the state legislative news did not end with November’s special session giving Boeing everything it demanded, or else. An Airhogs multi-strike missile launcher and it’s red. A green truck that is actually like my red one that I can drive. I’m allowed to drive because It’s not actually a grownup car. A shark race car. How far is it to the North Pole from Raymond? Can I please have a truck thing with a dear, with a tree stand? 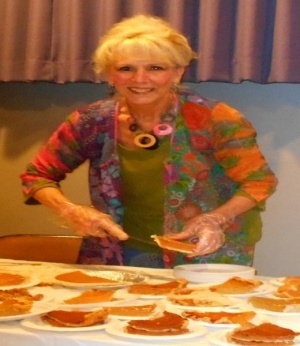 Photo by Vivian Edershiem South Bend City Councilwoman-elect Patricia Neve dished up pie servings at last Thursday’s Community Thanksgiving Dinner. 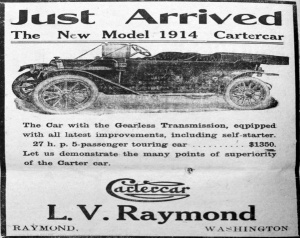 From time to time the Willapa Harbor Herald will take a Glance at the Past to see what we were doing and how we did it.